A fantastic opportunity to purchase 2.77 rai of beachfront Koh Samui land for sale in Bangrak. 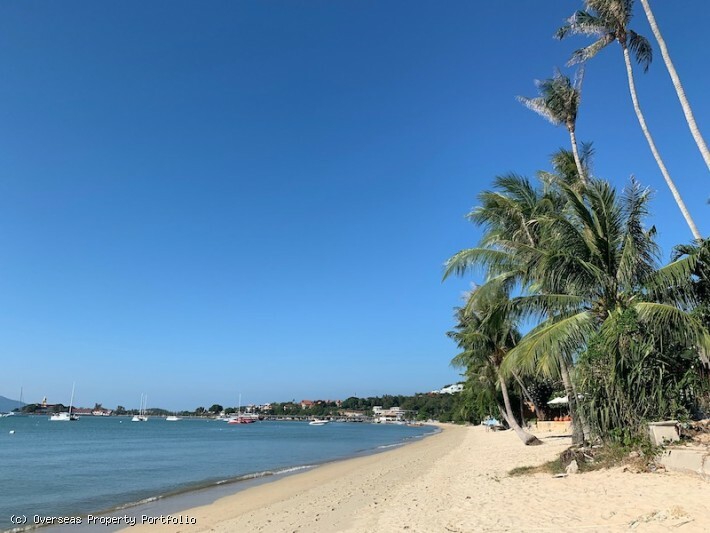 The land has 59.5m beach frontage and boasts stunning views to Koh Phangan and is accessed directly from the main road in Bangrak. Government electricity is available. All amenities including supermarkets, restaurants and beach clubs are within walking distance from the plot. 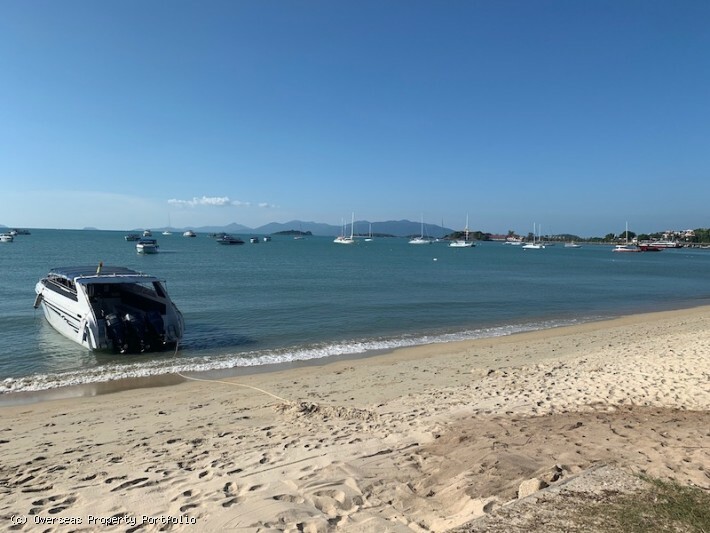 The airport and nearest school are only a 5 minute drive from this Koh Samui plot for sale..
After 5 minutes driving you can be in Fisherman’s Village and The Wharf you can enjoy a romantic dinner or head for the lively key tourist area of Chaweng by night and by day. 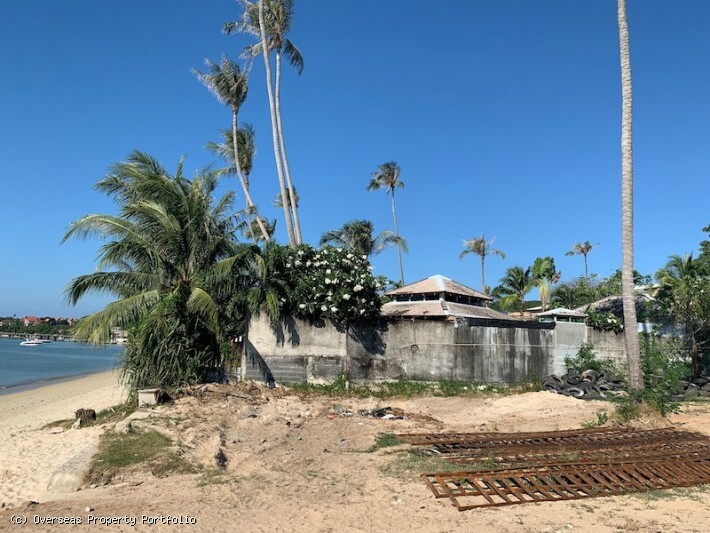 This Koh Samui land for sale will make an ideal site for a villa or resort project.